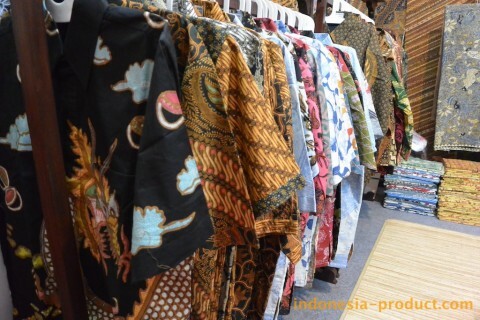 Sragen is the biggest batik production centers after Pekalongan and Solo. In Sragen, there are two sub-districts, Plupuh and Masaran batik centers. The two sub- centers have some batik -producing village. The layout of them are close together, opposite each other in the north and south of the Bengawan Solo River. The villages in the north of the river are Jabung and Gedongan incoming Plupuh subdistrict. Jabung and Gedongan are near with Pilang, Sidodadi, and Kliwonan Village. Laksamana Batik is one of several SMEs in the Kliwonan Village, Sragen where the village is a tourism area of Batik Tourism Kliwonan Village. There are various kind of Sragen Batik clothes and fabrics in Laksamana Batik that made from cotton and silk fabric. All batik shirt and fabric products here are handmade many types of Batik, such as; handwriting batik, stamp (cap) batik, printing batik semi handwriting Batik and various beautiful motifs that have been known to the public. Besides on that, Laksamana Batik also provides variety of Batik fabrics in various beautiful designs with motif original from Sragen. This workshop sells batik cloth for kids and “uniform” cloth for family couple with unique motifs and designs. Furthermore, the best selling of Batik in this workshop is combination of handwriting jarik (traditional Batik motifs) because handwriting jarik has good density and not easily shrink when washed. So, let’s visit this workshop because Laksamana Batik is the perfect place to buy Sragen Batik products.